It’s been a rough few years for the US economy. After the financial crisis the structural reforms and government intervention started comparisons between the US and slow-growth, socialist-leaning countries like France. Perish the thought! But years after stimulus and “recovery” the overall US economy has not added many jobs and just doesn’t feel very robust. Some look abroad to China and feel that their sheer size, growth rate and seeming invincibility will make them the global economic power in the fullness of time. Big corporations are the problem, not the solution. When it comes to job growth it turns out that small and medium sized businesses create about 120-140% of the new jobs in the US. That tells you something about what big corporations are up to. They are reducing payrolls and moving jobs to “more efficient” providers abroad. 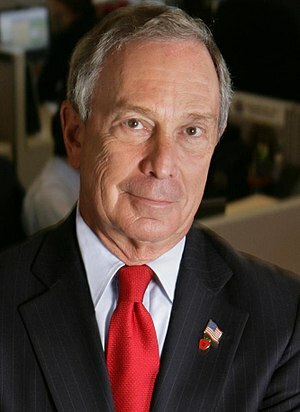 Mayor Bloomberg has hit on a perfect opportunity for the US to get back some of the mojo that built the country and made it great. Immigrants have been the key to growth since the US came into being. Our policies are stupid and self-defeating. He lays out a set of proposals that offer the greatest bang for the buck than anything else we have seen in recent memory. Changing our policies would allow the best and brightest to come and remain in the US to get a college education and start new companies that will provide the new products and services, jobs, taxes, and investment opportunities that we need. More companies, more jobs, more demand for housing, more prosperity – all for little to no cost for the country. There’s lots of attention on QE3, near-term job growth, health care, inflation and quarterly numbers. But the real long term growth engine for the US, the thing that makes it different than every other country in the world, is the strength that comes from immigrants that come to build a better life and in turn our economy and country. Every day the news is filled with the equivalent of whining over entitlements. Meanwhile so many smart, talented and hardworking people in the world have neither freedom nor opportunity. Their attitudes, efforts and impact is sorely needed in this economy right now. It’s worth taking the time to read or listen to the entire Bloomberg message and also see lots of the information that backs up the merits of the proposal.